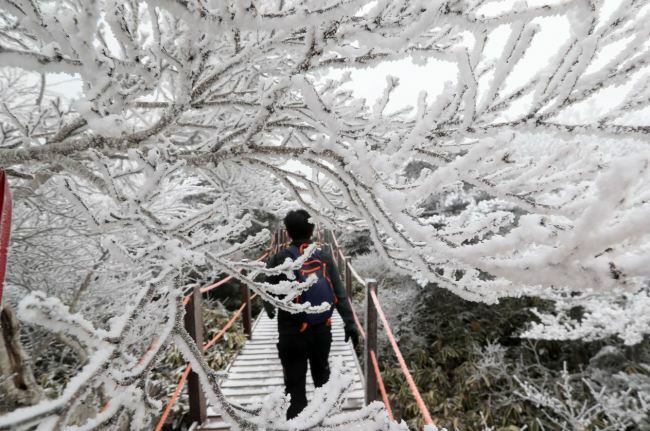 The white peaks of Mount Hallasan on Jeju Island has attracted weekend hikers after receiving the first snowfall of the season early Saturday. 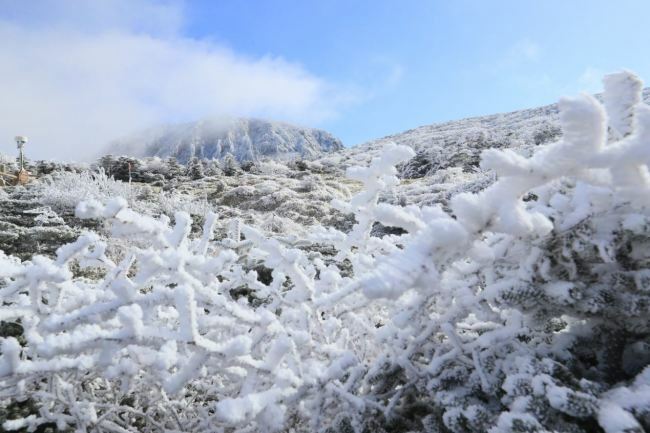 While the rest of the Island got rain, the water droplets had developed into snow on mountain peaks over 1,500 meters-high, where the temperature dropped as low as minus 8.1 degrees Celsius. The mountain trail saw a huge crowd on Saturday and Sunday as hikers headed to Halla Mountain for the snowy landscape. Trees laced with white hoar frost welcomed the hikers onto the trail. “The weather was colder than expected as the wind blew strong. 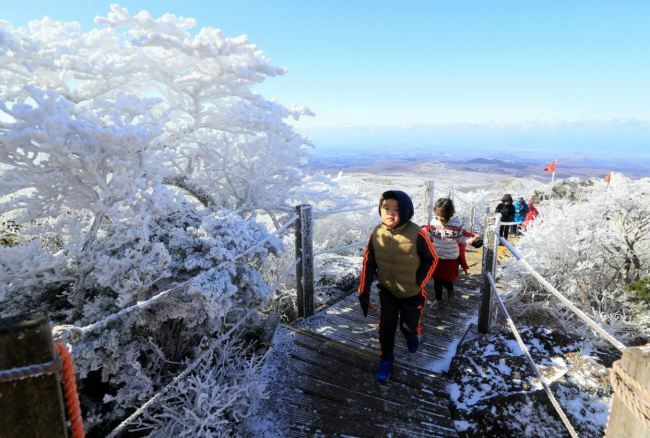 But the cold didn’t bother me, as the mountain looked so beautiful from snow,” a hiker surnamed Byun said in an interview with Yonhap News Agency. As the cold weather continues across the country, a mixture of snow and rain is again expected on Monday in Jeju highlands as well as Seoul, northern part of Gyeonggi Province, and Gangwon Province.